Interlocking Concrete Pavers - Tile Tech Inc.
Interlocking concrete pavers are one of the more genuinely unique innovations of this century. Inspired by the Ancient Roman technology, the interlocking pavers have catapulted their technology into a whole new level. The use of interlocking mechanism has ensured the durability and the stability of the interlocking concrete pavers because of reinforcement from each concrete paver. This pavement engineering has revolutionized the pavement landscape of today. 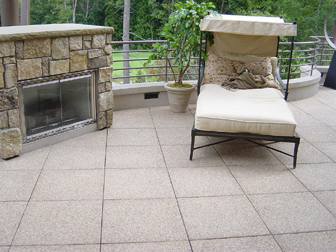 The benefits of using the interlocking patio pavers face different directions. Aesthetically, the interlocking pavers are a topnotch feature. It has various combinations of colors with different styles and pattern to choose from. Because of this, the interlocking pavers can suit any style that homeowners want for their residential and commercial pavements. The interlocking pavers also feature an easy repair mechanism because of the interlocking feature. Repairing interlocking concrete pavers require only disassembling the interlocked pavers and repairing the damage one. Then, once the damaged paver has been repaired, it can easily fit to the other through the interlocking mechanism. This is one of the spectacular features of the interlocking pavers that one could not pass from. However, this does not suggest that the interlocking pavers are prone to damage or breakage. This is because the interlocking concrete pavers showcase a joint system that enables the tiles to allow movement creating fluidity when exerted with extreme power. Also the sands that are sifted between the interlocked tiles are functioning as cushions enabling a fluid transfer of force between the interlocked paver. For this particular reason, the risk of the interlocking paver to break or crack is very minimal. The most marvelous benefit of the interlocked pavements is that it allow for the use of the corners of the grid for plantation. This earth-friendly feature of the interlocking pavers marks its trademark among other pavers in the market. Now, not only do the interlocking concrete pavers have spectacular designs to feast one’s eyes, it also has a functional technology and an earth-based feature making this paver one to hit the carts. 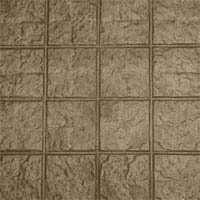 When consider looking in the market for paving equipment and materials, it is important to take note of the interlocking patio pavers for the house pavements. It has features that will definitely not disappoint one’s curiosity and expectations because it is engineered to withstand being walked and driven on without breaking and cracking. This is why missing out on the interlocking concrete pavers would be a big no-no. There is an abundance of design options available on the market, where interlocking pavers are concerned. Whether you choose a hexagonal, herringbone or diamond design, there is something to suit all individual tastes. Not only are interlocking paver easy to repair, but the likelihood of them being damaged is slim. For each unit has joints that allow them movement, so the chances of them cracking is very rare.